Trump Wants Brazil In NATO…To Help Oust Maduro? | We Seek the Truth! 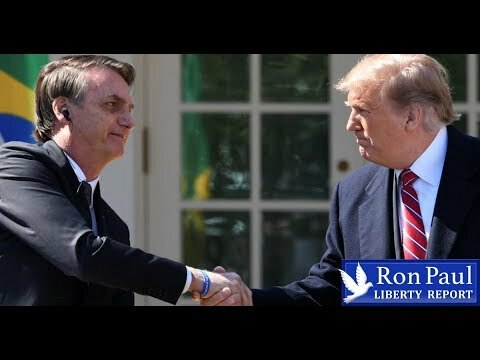 Trump Wants Brazil In NATO…To Help Oust Maduro? The following video is brought to you courtesy of the RonPaulLibertyReport YouTube Channel. Click the video below to watch it now. Brazil’s president Bolsonaro made an unprecedented visit to CIA headquarters as the first stop of his Washington visit. There he was briefed on Venezuela, according to press reports. Later, President Trump came out in favor of “major non-NATO ally” status for Brazil. What’s really at play here? Invasion plans?